In a country of over 100 crore people, when only 14,135 citizens deemed Sanskrit as ‘native’ language (according to the 2001 census) why is the Union Government making such a hullabaloo over Sanskrit? This is the innocuous question that people who believe in democracy and that India is a democracy tend to ask. Watching the Union Human Resource Development Ministry spending a whole lot of tax-payers money for the promotion of Sanskrit while being stingy when it comes to providing for the development of the other 21 languages listed in the eighth schedule of the constitution, many people wonder what the government’s priority is. At times people do voice their opposition to undue promotion of Sanskrit, too. Yet the HRD Ministry comes up with new efforts and innovative ideas to promote the language, which can best be described as ‘dead’. After the BJP government under Narendra Modi took over, however, the Ministry’s attempt to lift Sanskrit out of its grave has gained a renewed gusto. Which once again leaves us with the question: Why? But before trying to figure out the reasons behind the government’s love for Sanskrit, let us look at the status that language enjoys in popular culture. At present, Sanskrit is used only by Brahmins for performing poojas at temples, solemnizing marriages and reciting mantras for funeral rites. Even in this, most Brahmins do not understand what they recite. There was an incident some decades ago when a Brahmin was caught by Somasundara Bharathiyar for reciting slokas meant for final rites at a marriage ceremony. That is because even for Brahmins Sanskrit is not a language for communication – even the stern demand for dakshina at temples are made in Tamil in temples after pooja. Yet, the HRD ministry has recently formed the 13-member panel headed by former chief election commissioner N Gopalaswami. 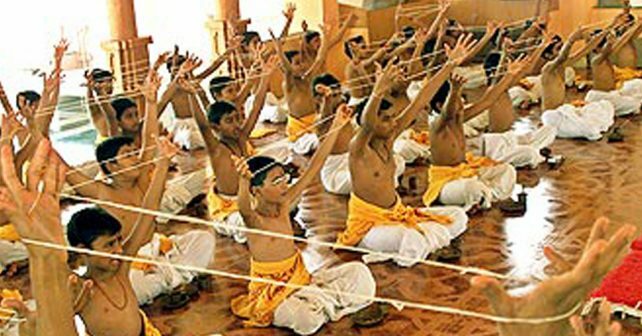 The panel has proposed some suggestions to form Central Sanskrit and Vedic Studies Board. The Ministry has under its control four deemed universities – Rashtriya Sanskrit Sansthan, Shri Lal Bahadur Shastri Rashtriya Sanskrit Vidyapeeth, New Delhi, Rashtriya Sanskrit Vidyapeeth, Tirupathi and Maharishi Sandeepani Rashtriya Ved Vidya Pratisthan, Ujjain. HRD minister has instructed the IITs to teach Sanskrit and now the language is being thrust on students of all CBSE schools, which is being opposed by people in Tamil Nadu. Apart from this, the government is conducting Sanskrit conferences in foreign countries and giving grants for Sanskrit scholars. All these again raise the question: Why? Because the Brahmins, who have been eternally ruling the country directly and through proxy, are ensuring that their language is revived and kept alive to serve their interest. It has been the case since time immemorial. Brahmins had been successful in getting the kings’ support to develop their language. Through Sanskrit the Brahmins managed to keep education out of the reach of the common man. While schools set up by the kings, like the Cholas, taught Sanskrit only to Brahmin students, the Brahmin advisors prevailed upon the kings not to give importance to the language of the masses. The Brahmin made kings believe that Sanskrit was the best language. By this, the Brahmins got all the works in ancient India like architecture, philosophy, sculpture, political science, astronomy and everything in Sanskrit language and on the other hand prohibited non-Brahmins from learning Sanskrit both formally and non-formally. Till the beginning of the 20th century, knowledge in Sanskrit was prerequisite for the admission to medical colleges. It was done away with by the Justice Party. Worse, to become a Tamil Pandit, knowledge of Sanskrit was mandatory. Brahmins still argue that Sanskrit is ‘Deva Basha’, which means it is the language of the Gods. It is the language of Brahmins, who constitute only 3 percent of the total population but do not speak Sanskrit. The remaining 97 percent of the population speak other languages. Yet the Brahmins have been attempting to impose Sanskrit on everyone since independence. P.S.Sivaswamy Iyer, who was the vice-chancellor of Madras University, in his convocation address in 1914 itself, emphasized the importance of Sanskrit. Sanskrit scholars were given much respect than the Tamil scholars in educational institutions. For instance, in the 20th century, K.Namasivaya Mudhaliyar, who worked as Tamil professor in Presidency college, was paid only Rs.81 as salary when Kuppusamy Shasthri, the Sanskrit professor, received Rs.300 as salary. Justice party chief minister Raja of Panagal put an end to the disparity. A language should be given importance only based on its utility. What utility value does Sanskrit have in the present day context other than enabling one to perform poojas? Yes, the Brahmins have an agenda behind the promotion of Sanskrit. 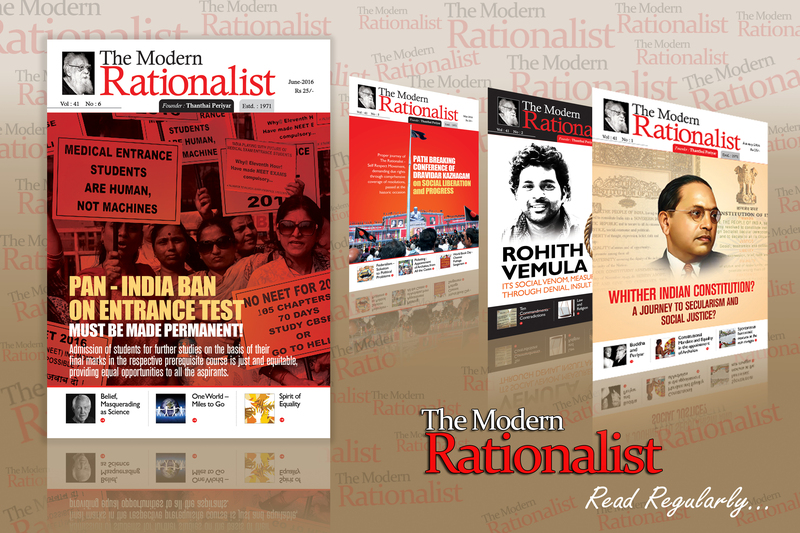 It is to sustain their superiority over non-Brahmins both in material and cultural domains. 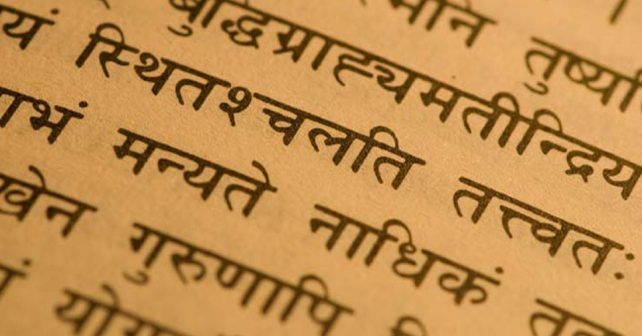 If only Sanskrit is revived, Brahmins could enjoy religious and cultural supremacy. So a band of Brahmin retired judges and officers have been tasked with finding the ways to revive Sanskrit. They get Doordarshan running news bulletin in Sanskrit and so on. Now, the task of non-Brahmins, who want to be free from all kinds of oppressions, is to fight Sanskrit imposition. They can draw inspiration from the past struggles. Dravidar Kazhagam is consistently opposing the attempts to impose Sanskrit and Hindi on Tamil people. It is a must for all Tamil scholars and people with self-respect, to oppose Sanskrit imposition.